Old St. John’s is a darling place. It’s been a graveyard so long that it’s ceased to be one and has become one of the sights of Kingsport. I was all through it yesterday for a pleasure exertion. There’s a big stone wall and a row of enormous trees all around it, and rows of trees all through it, and the queerest old tombstones, with the queerest and quaintest inscriptions. You’ll go there to study, Anne, see if you don’t. Of course, nobody is ever buried there now. But a few years ago they put up a beautiful monument to the memory of Nova Scotian soldiers who fell in the Crimean War. It is just opposite the entrance gates and there’s ‘scope for imagination’ in it, as you used to say. The Welsford-Parker Monument. I decided to dig out some old photos taken in summer, instead of taking more pictures of Halifax in the snow. Yes, it is STILL snowing here…. No signs of spring. The Welsford-Parker Monument was erected in 1860 as a memorial to Major Augustus Welsford of the 97th Regiment and Captain William Parker of the 77th Regiment, who died at Sebastopol on September 8, 1855. 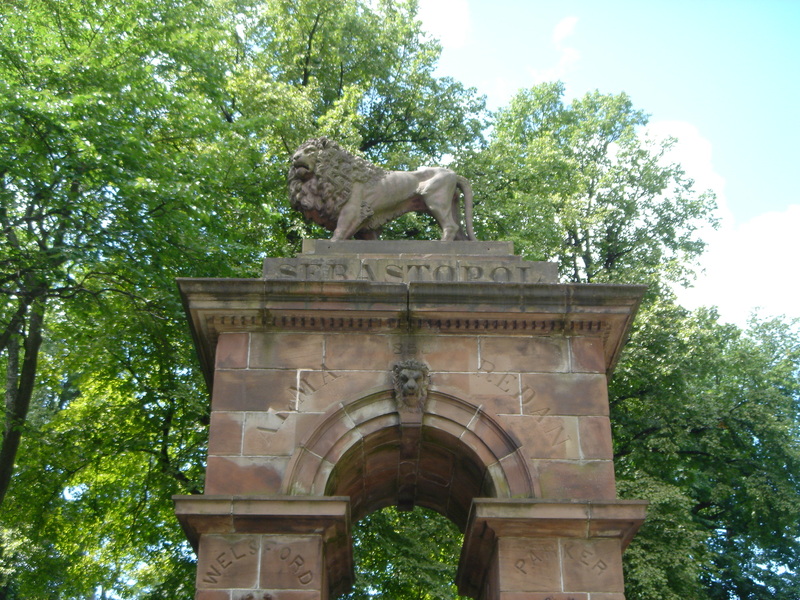 The arch and lion were carved from New Brunswick sandstone by George Laing. The old graveyard, with its overarching trees and long aisles of shadows, faded from her sight. Instead, she saw the Kingsport Harbor of nearly a century agone. Out of the mist came slowly a great frigate, brilliant with ‘the meteor flag of England.’ Behind her was another, with a still, heroic form, wrapped in his own starry flag, lying on the quarter deck – the gallant Lawrence. Time’s finger had turned back his pages, and that was the Shannon sailing triumphant up the bay with the Chesapeake as her prize. The graveyard closed in 1844, and it was not until the 1980s that restoration work began. A second major restoration has been underway in recent years, and the Old Burying Ground Foundation is grateful for any donations. You can also read more about the Old Burying Ground in “L.M. 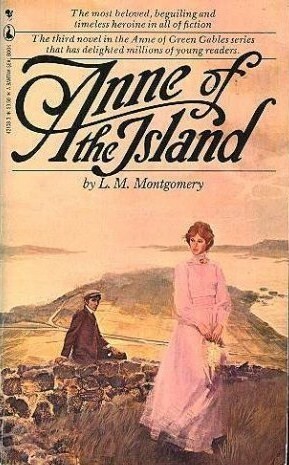 Montgomery’s Halifax: The Real Life Inspiration for Anne of the Island,” by Sue Lange, in The Shining Scroll, the newsletter for the L.M. Montgomery Literary Society. And you can read more about both the Old Burying Ground and St. Paul’s Church in my book St. Paul’s in the Grand Parade. If you missed last week’s post on “Anne of Green Gables in Kingsport/Halifax,” you can find it here. Thank you, Sara! Makes me want to travel to Nova Scotia this summer. I’d love to spend 2 weeks there. I was in PEI last summer for a week, doing the L.M. Montgomery pilgrimage. So lovely. Thanks for your posts. Always a pleasure to read! I’m really happy to hear you’re enjoying the blog, and I hope you get a chance to visit Nova Scotia. Thanks for reading! Thank you for this lovely post, the (snow-free!) pictures, and the links. “…and trees I must have” is one of my favorite connections to Anne! Like Montgomery, I also enjoy a quiet cemetery for reflection and unusual inspiration. Reading the inscriptions on slabs of stone, and thinking of the lives represented there, is less about the looming presence of death and more about love and memory. You’re very welcome. I’m glad you enjoyed it. I just couldn’t bring myself to take more pictures in the snow, so I was happy to find old photos that fit with the post. Winter is still upon us here — freezing rain yesterday and more snow today. I like the point you make about love and memory as the focus of your cemetery visits. And trees, too. Yes, let’s do that again — it’s been far too long since our last Point Pleasant trip. I think we can almost guarantee that we’ll be able to find a rainy day, whenever you visit. Or maybe a blizzard. I’m glad you’re enjoying the LMM and Halifax posts. Pretty soon the blog will be focused on the 200th anniversary of Mansfield Park, but in the meantime, I’m really enjoying exploring Montgomery’s fiction in relation to our hometown. More posts on Anne of the Island and Point Pleasant coming soon!